This forum was inaugurated at the workshop hosted by Taman Safari Indonesia and facilitated by WVI with assistance from 21st Century Tiger. It was attended by representatives of the Indonesian Veterinary Medical Association and the Wildlife and Conservation Office (BKSDA) and agreed a framework and protocols for disease surveillance across the island as well as facilitating the network of wildlife vets and supporting organisations. Thanks to a generous grant from Auckland Zoo Trust, 21stCentury Tiger is supporting Fauna & Flora International Kerinci Seblat Tiger Protection and Conservation Project by providing funds to buy two long-wheel base, double-cabin 4WD pick ups. The ZSL team have established this project to coordinate with land owners and the government to mitigate detrimental impacts on the Dangku landscape and leave corridors of untouched habitat across industrial land to ensure the survival of the Sumatran tiger. This project was fully funded by Dreamworld Wildlife Foundation. The objective of this FFI project is to secure the long-term conservation of wild Sumatran tiger, in particular through controlling the poaching of tiger and prey species and habitat loss and through effective mitigation of human-tiger conflict. This project repeats DICE’s camera trap work that started in 2001 and gives evidence on the effectiveness of conservation in this area. ZSL’s project in Sumatra started with the surveys of the ranging patterns of Sumatran tigers in 2003 and now focuses on protection for 2009-10 alongside ZSL’s Berbak Carbon Project. Between 1990 and 2000, 25% of the forest in Berbak National Park was lost due to illegal logging, clearance and fire. This forest loss directly impacts on wild tigers and these threats are now escalating at a worrying pace.  In this project, ZSL establishes a network of local community rangers to investigate and deter wildlife crime and encourage good relations between local people and the police. This project, with its focus on the connectivity between protected and unprotected areas, began by surveying core protected areas at the request of the Department of Forestry, focusing upon areas highlighted in recent tiger strategy documents before moving on to look at remaining connectivity between them. Each survey recorded species and threat occupancy, as well as a range of social values using foot, camera and interview surveys. This ZSL/WCS project aimed to develop a rapid assessment methodology for Sumatran tiger and to employ the method in four southern Sumatran provinces; as a status and threat assessment, as a capacity building exercise and as a vehicle to promote tiger awareness. For four years, this project in Kerinci Seblat National Park in west-central Sumatra, collected data on the status of tigers, their prey and their forest habitat through camera trap surveys, newly developed detection/non-detection surveys and satellite imagery. Tigers in KSNP were threatened directly by poaching and indirectly by illegal logging and poaching of their prey. To overcome the problems that impede tiger conservation specifically, and biodiversity conservation more generally, a multi-disciplinary approach was established in this collaboration between DICE and FFI-Indonesia Programme. This ZSL project looked at the key strategy for ensuring the survival of the Sumatran tiger by working on their survival outside the protected area system. Non-protected areas represent a far larger area of land, do not exclude people and therefore reduce the potential for land use conflict, and can provide connectivity between the core protected areas. This DICE project carried out deforestation analysis of Kerinci Seblat National Park, using ground surveys and satellite imagery to examine the large spatial scale edge effects (LSSEE). To accomplish a long-term goal of eliminating the trade in tigers and tiger parts, a thorough examination by TRAFFIC Southeast Asia (T-SEA) of the workings of the trade itself was carried out to map out a series of integrated responses in an informed manner. The goal of the project is to provide information to The Indonesian Directorate General of Forest Protection and Nature Conservation so that a realistic management strategy can be developed to promote the long-term viability of wild tigers.